Our curriculum at all instructional levels follows the Standards of Learning for Virginia, and satisfies the core English and Language Arts, Math, Science, and Social Studies course content required by the Virginia Department of Education for each grade level, to include Economics and Personal Finance at the high school level. We also offer credit recovery at the high school level. KEYS Academy supports social-emotional learning and improves student engagement through strategic Social Thinking skills (Michelle Garcia Winner) and the KEYS Curriculum (Sally Twentey and Deborah Moore). 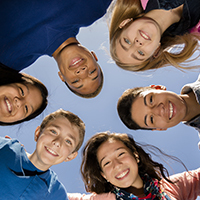 Our instructional programs focus on all students being available for learning by operating from a state of well-being through our core principles of Safety, Dignity and Direction, and through transition activities designed to help students achieve social and emotional success. Individualized instruction, interactive lessons, best practice teaching strategies and community enrichment projects provide opportunities for personal growth, and encourage students to become invested in their personal education and begin to take ownership of their future. Each elementary, middle and high school class is staffed with a certified Special Education teacher and /or a paraprofessional, as required by VDOE (VAC20-81-340). Daily instruction is delivered in small group settings, no more than 10 students per class. Students are provided with needed accommodations as outlined in their Individualized Education Plan (IEP). Accommodations are paired with personalized attention through a variety of instructional delivery methods to meet student academic goals and IEP goals with success. 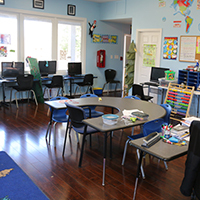 Our classrooms provide students with a safe and comfortable environment for learning. Our small class sizes and in-school interventions focus on helping our students learn social and emotional coping strategies that they can utilize to learn more efficiently and to support their own personal growth. The Academic Program at KEYS Academy centers on strengthening our students’ academic foundations by filling in the missing gaps in learning from previous years and then building a history of academic success upon that newly solidified foundation. By maintaining small class sizes and taking the time to develop strong interpersonal relationships between teacher and student, our students acquire confidence in their ability to learn and begin to realize how valuable an education is for their future. In addition, students are taught strategies to help them communicate more effectively, maintain focus and/or manage their emotions and behaviors that impact their ability to learn and retain academic knowledge. 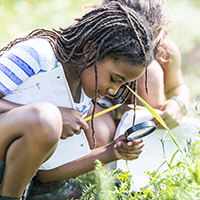 KEYS Academy offers instructional programs at the elementary, middle, and high school levels. 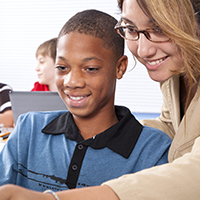 KEYS Academy employs certified Special Education Teachers and specially trained paraprofessionals for instructional delivery, remediation, and social-emotional supports, as well as to meet the instructional goals outlined in student IEPs. The web-based programs offer digital curriculum with K-12 subject matter that comprise standards-based instructional content specifically developed for online delivery in elementary, middle, and high school. They include assessment opportunities integrated throughout, scaffolding to support learning for all students at each grade level, resources to support effective teaching, career development offerings and transitioning support skills. KEYS Academy teachers provide integrated, differentiated, and individualized instruction to meet the needs of each student, and customize instructional opportunities to reflect individual students’ strengths and interests. 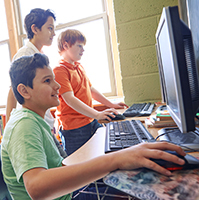 Students will participate in multi-sensory, hands-on learning opportunities supplemented by related resource materials and complemented by computer-based learning opportunities. Instruction, activities, resources and materials are designed to comply with the Virginia Standards of Learning Curricular framework. All students will receive accommodations specified in their Individualized Education Plan. KEYS Academy offers additional elective and basic skills coursework that is tailored to suit the interests and specific needs of the student body. 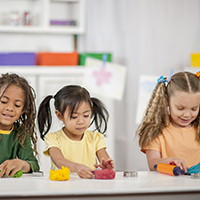 Additional courses offered include Communication, Social Thinking (Michelle Garcia Winner) and KEYS, KEYS is a person centered planning curriculum that offers instruction in the areas of social skills building, problem solving and futures planning. Students will have the opportunity to participate in age appropriate art activities at all grade levels. Elementary schools’ students will participate in the developing of art and experiment with different mediums. Middle and High school students will participate in many activities that give them a chance to express themselves through their art work. Student art is displayed within the buildings at KEYS Academy. 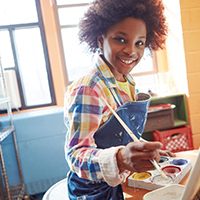 Students who want to participate in an Art or Music course for Credit may take Art Appreciation or Music Appreciation through APEX. KEYS Academy will provide various opportunities for exposure and experimentation in the Arts. Examples would include but not be limited to hand drums, drum circle, and depending on location music studio. Daily physical activity plays an important role in sustaining emotional and psychological well-being. Students engage in regular health & wellness education. 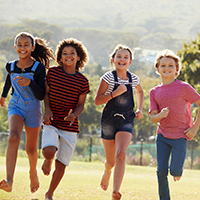 KEYS Academy’s Health and Physical Education Program at all grade levels follows the Virginia SOLs. Health education at the high school level is provided through APEX on-line learning. At the secondary level, KEYS Academy’s Physical Education Program is submitted for review to a Licensed Physical Education Teacher for feedback prior to implementation. KEYS Academy students are provided with frequent opportunities for structured recreation. Brief activity breaks during academic instruction periods allow students to find creative and positive outlets for their energy, thereby reducing disruptive behaviors and improving focus in the classroom. KEYS Academy provides, as needed, sufficient reference material and media on-site. Each student has a designated computer work station as well as internet access for their digital learning program. The internet serves as the primary source for research and resources necessary to support the school’s curriculum. Research materials are accessed through carefully supervised in-house computers.